Jeff Hirsch is the experienced attorney and trusted advisor relied upon by senior leaders in many industries for advice on complex and sensitive workplace issues. Jeff’s advice is proactive and strategic and always focused on the client’s goals and mission. 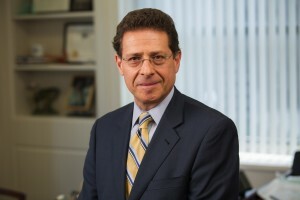 Jeffrey L. Hirsch (“Jeff”) is an experienced attorney, author, and teacher who has practiced management labor and employment law for over 35 years. During that time, Jeff has advised and represented hundreds of employers in many diverse fields, including higher education, healthcare, human services, manufacturing, transportation, hospitality, retail, food processing, textile, and many service industries. Since 1990, Jeff has also been the author of the widely used book “Labor and Employment in Massachusetts”, and he has written similar books analyzing the laws of Connecticut, New Hampshire, and Rhode Island. Jeff also wrote the “Occupational Safety and Health Handbook,” which was distributed nationally. Jeff’s books are relied upon by thousands of lawyers, executives, and human resources professionals around the United States. Jeff was inducted into the College of Labor and Employment Lawyers in 2005 and has been listed in the “Best Lawyers in America” continuously since 2007. In addition, Jeff is a Fellow of the New Hampshire Bar Foundation, a Life Fellow of the Massachusetts Bar Foundation, a Fellow of the American Bar Foundation and a member of the Boston Bar Association Society of Fellows. Since 1983 Jeff has held an appointment as an Institute Fellow at the Human Resources Policy Institute at the Boston University School of Management. Jeff has served under six consecutive Massachusetts governors as a Member of the Advisory Board of the Massachusetts Commission Against Discrimination (MCAD) from 1995 to present. Jeff regularly represents employers in labor negotiations, labor arbitrations, union organizing drives, wage and hour cases, discrimination and wrongful discharge cases. 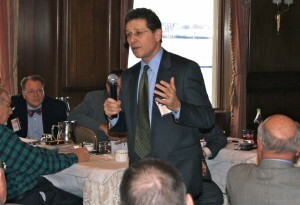 He has appeared on behalf of his clients before dozens of state and federal agencies, including the National Labor Relations Board, United States Department of Labor, Equal Employment Opportunity Commission, Occupational Safety and Health Administration, Massachusetts Commission Against Discrimination, Massachusetts Attorney General’s Fair Labor Division, New Hampshire Human Rights Commission, New Hampshire Department of Labor, and state and federal courts. Like all HRW lawyers, Jeff also believes in effective proactive partnering with clients, and he spends a significant amount of time providing advice to senior leaders and presenting in-house educational and training programs to help clients avoid costly disruptions and disputes. Served as chief negotiator for a Connecticut based manufacturer in negotiation with the United Auto Workers (UAW), reaching a five year collective bargaining agreement. Jeff has represented this client continuously since 1998. Recently served as chief negotiator for a national employer’s Boston facility and concluded negotiations with UNITE HERE reaching a two year agreement. Jeff has acted as local labor counsel for this client since 1988 and served as its chief negotiator in nine sets of renewal negotiations. Recently served as labor counsel and chief negotiator for a national employer in the dairy industry and advised on the acquisition of a unionized facility, relevant NLRB issues, and subsequent contract negotiations with the Teamsters for the initial labor agreement. When the initial labor agreement expired, Jeff again served as labor counsel and chief negotiator in three sets of renewal negotiations.